Our kids are everything to us! We always try to make them happy and dream that they will be more healthy, intelligent, and active than us. But, to make that sure, we need to motivate them as much as we can. In this tech age, it’s very easy to do that using activity trackers. Activity trackers are really amazing, help you track your kids’ step, sleep, distance, calorie burned, and much more. But, at first, you need to choose the perfect one. That’s why, considering this issue, here we’ve listed the best activity trackers for kids. So, whether you’re looking to get the fitness tracker bracelet for your kids or for someone special one you care about as a gift, just scroll below to the list you’ll find the right one! and a soft flexible band that is adjustable to fit most kids. The tracker is waterproof, so no worries while playing with water! It offers powerful functions that are automatically synchronized via Bluetooth with a free application. With the app, it allows your kids to track and monitor activities like sleep, distance, calorie burning, daily exercise, as well as, get social media notifications and call/SMS notification. Undoubtedly, one of the most fantastic fitness gadget to track your kids’ activities to keep them motivated to become more active all the time! 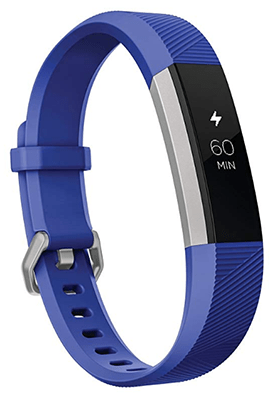 Fitbit Ace is another activity tracker with an adjustable wristband that carefully built especially for growing kids. It’ll track all of your child’s taking steps, active minutes, and sleep time and show the complete stats on bright tap display. The most interesting part of this tracker is it keeps every step of the journey of your kids exciting by buzzing with celebration notifications and rewarding them funny achievement badges when they reach pre-defined goals and milestones. Besides that, it’s showerproof this means it’s secure from splashes and spills. And, features 10 fun clock faces designs that show time date, goals and more. As well as, call notifications that parents will obviously love to stay get in touch with their kids. Our third pick is LeapFrog Leapband – one of the most popular kids’ smartwatches and activity trackers that’s designed and made for tracking the activities of your kids in funny ways. It includes 50 preloaded active challenges that help your kids to get moving like “Pounce like a lion”, “marching like an elephant”, or “wiggling like a worm”, and much more. The more your kids will move, the more points they will earn to unlock new pets and pet’s toys to play with. As well as, your children will be able to easily personalize their very own pet pal for an active playmate who’s always with them on hand. It also includes Parent controls option on “Leapfrog Connect” so as parents you can set the play times, challenges and more for your kids. In a word, LeapFrog LeapBand could be the perfect motivation to encourage active play and healthy habits of your kids! 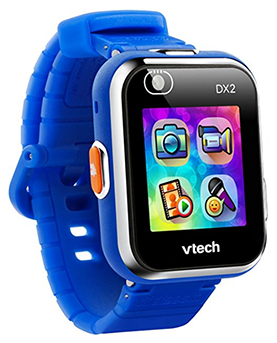 The VTech Kidizoom DX is a feature-packed, powerful, smarter Smartwatch that combines all the interesting features your kids will need to become more active and motivated. With colorful gorgeous designs, it offers a bunch of fun games and activities such as 3 fun activities, 3 action challenges, 5 games, and a motion sensor. The best part of it is, it has a built-in camera with photo editing effects and more memory, so your little kids can take pictures and capture videos when they’re walking around, playing, or having some fun! Also, it features both digital and analog display with 50 plus clock face designs, a voice recorder, an alarm clock, timer, stopwatch, calendar, and a calculator. With the calculator, your child can work out simple addition, multiplication, subtraction, and division problem. Besides that, it’s also splash and sweat proof. And, includes a rechargeable Lithium-Ion battery and micro USB cable to upload photos/videos. 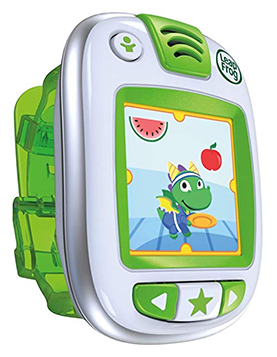 Overall, VTech Kidizoom DX is more than just a watch that you can give to your kids to keep them active all day long with excitement and fun. Fitbit Zip is another fantastic kids activity tracker made by the world-renowned wearable manufacturer “Fitbit”. Fitbit account through the Fitbit app. The sync supports up to 150 leading smartphones and most computers. Zip comes with a water-resistant silicone band, but it’s not like the other fitness trackers we mentioned above that can be worn on the wrist. It’s slightly different, comes with a clip so your kids can wear it anywhere they wish. This tracker uses a coin cell battery that’s very practical, this means it should last somewhere between four and six months without a charge. It’s available in two different colors Charcoal and Magenta, so the options to choose is limited, as well as, slightly expensive compared to other activity trackers on this list. 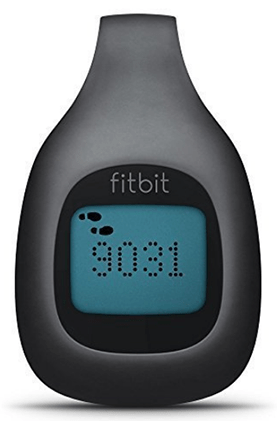 But, when the brand is Fitbit, then surely a premium price tag is to be expected. Our last pick is Garmin Vivofit jr. 2 – a handy swim-friendly fitness & activity tracker for kids with 1+ year replaceable battery life. And, since it comes with the design of all your kids’ favorite cartoon and movie characters, so there’s no denying to love it. It has all the essential features like it lets you and your Kids track the steps, distance, and sleep. As well as, it also offers the recommended daily activities to keep your kids to stay fit and on their feet. You can even sync the tracker with the free mobile app that includes chore management and schedule alert tools for parents to analyze the data to understand the progress. 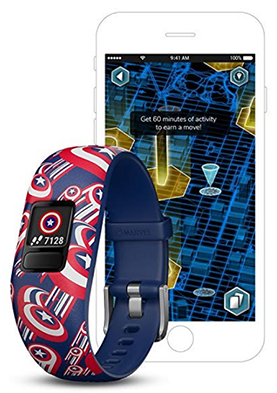 It’s currently offering the Marvel’s Avengers skins which are mighty appealing for young boys and girls. There are total ten colors/patterns to choose from. So, whichever you choose, your kids will love to wear that for sure! No doubt about that! These above are the top & best activity trackers for kids so far right now. 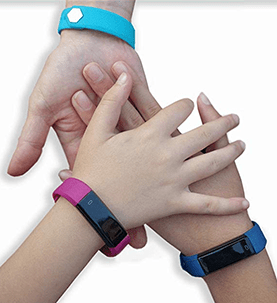 Hope, you’ve found the right activity tracker for your kids to track their daily activities. So, now, give the trackers to your kids in order to let them become more active and smarter always with fun and amusement!